‘Tis almost the season… for winter tires and rims, so let’s start getting ready today! At OriginalWheels.com, we don’t sell tires, so we’re not experts in the tire department. Sorry! What we can tell you is that winter tires are specifically made to handle all kinds of road conditions – even light snow. We’re located here in sunny SoCal, and even though it’s currently about mid-November, we’re still experiencing heat – think 90 degrees. Call it a blessing or a curse; either way, winter tires are not really needed here. However, if you live in an area where snow is considered an inconvenience rather than a miracle, then you probably already know to get winter tires for your car. So then the question becomes, do you need winter factory wheels for those snow tires? Winter wheels are just basic stock wheels that fit your winter tires; usually, they are plain black steel rims. Some of the fancier alloy wheels might not be able to withstand the harsh conditions of the winter season – especially if they are factory chrome wheels. Chrome is actually more susceptible to peeling and corrosion in the snow. Because of this, it’s often needed for many people to get winter wheels in order to preserve the life of their summer rims. Winter wheels don’t always have to be steel; we’ve had some customers call to order some basic alloy wheels that they can mount in lieu of their other wheels. This might be necessary when it comes to manufacturers like BMW, as there aren’t any steel factory original BMW rims. If you aren’t sure what steel or alloy wheel would be a good choice for your particular vehicle, you can always give us a call and we can do our best to help you out! One example of a winter wheel is part number 69809 – one of our top-selling wheels. It goes on a Volkswagen Golf, Jetta, and Rabbit, with the years ranging from 2005-2015. It is a basic black steel wheel, and it can be a great cheap alternative for winter use. 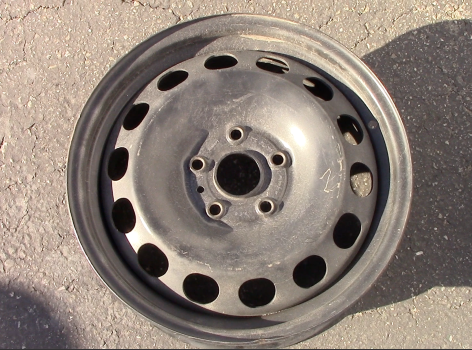 We list this wheel online for $90 plus shipping. Please note that THIS particular rim will not fit EVERY car. For example, if you have a 2008 Toyota Camry, you’re probably not going to want to order the 69809. 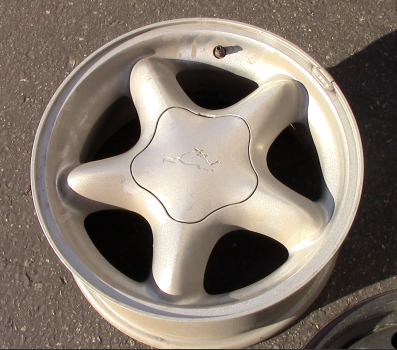 A wheel that WAS made for the 2008 Camry is the part number 69494. It’s always best to consult our online catalog and order a wheel that was made for your specific year, make, and model. If you want to try out a wheel that was not made for your vehicle, we always recommend calling your dealer to see if that wheel will fit. Like we mentioned before, some people might go for cheaper alloy wheels for a vehicle that may not have steel wheel options available. One example is part number 3088. It goes on an older 1994-1998 Ford Mustang. No steel wheel options are available, but it is one of the cheaper alloy options made that can be used as a set of winter rims. If you happen to have the chrome OEM rims that were made for this car (part number 3475A), replacing them with the cheaper alloys can save the chrome from the snow. You can just keep your winter tires mounted on your winter wheels, saving you the hassle of having to switch between all-season tires and winter tires for one set of wheels. This can also save you from mounting fees! 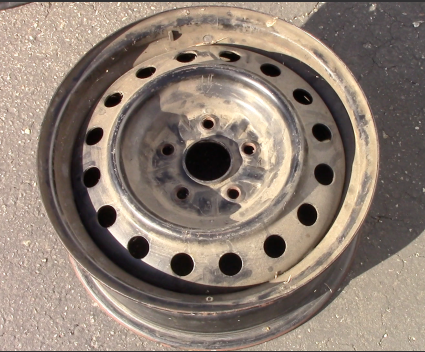 Wheels and tires can be damaged during mounting/dismounting. If you’re looking to get a set of winter rims, feel free to browse through our online catalog. And please, make sure you know that the OEM wheels you want will fit your vehicle. If you have any questions, give us a call at 1-800-896-7467 and we’ll be more than happy to assist you to the best of our abilities!